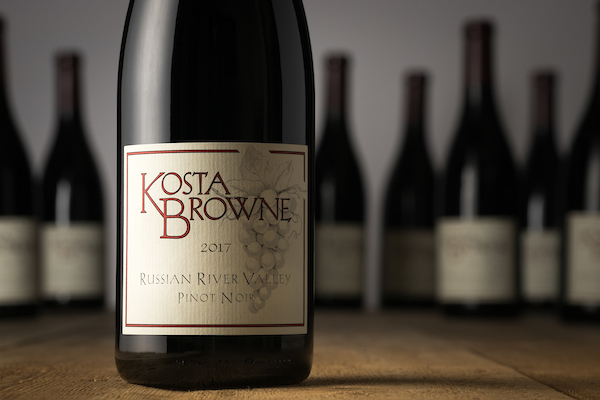 There are many differences between vineyards in this small appellation, but the majority of them do share a common influence – the cooling effect that follows the Russian River inland from the Pacific coast. The resulting fog helps keep nights cool and offers vines a respite from daytime temperatures. In turn, these diurnal temperature swings slow down ripening and promote more evolved flavors in our grapes. We work with vineyards that span a diverse and varied view into a region that many would call the heartland of California Pinot Noir. Our goal is to create a wine that showcases the essence of this magical appellation. Over the years, we’ve been fortunate to work with many great vineyards. We continue to work carefully with select growers that farm in and around our Sebastopol home. There is often a recognizably full mouthfeel and texture to the wines from the area - a common thread to the components of this blend and a feature we are drawn to every year. This vintage was much more compact due to extreme heat in early September that created a mad dash to harvest as much fruit as possible at peak quality. Nose: Bright citrus rind with fresh cranberry, strawberry and a touch of baking spice. Mouth: Broad, with a supportive acid structure which highlights the notes of raspberry, pomegranate and well-balanced oak.